Family law proceedings can be both emotionally and financially challenging. Clients involved in family law proceedings generally have both the knowledge and expectation that they may incur significant costs throughout the process. Whilst Legal Aid and Community Legal Centres aim to provide financial assistance to those suffering legal hardship, their limited funding means that too often families are faced with the heavy burden of extensive legal costs. Such legal costs are for the most part unavoidable but there are several avenues available for clients to dispute hefty and overzealous legal costs. Now to the question of what legal costs we are talking about. Schedule 3 of the Family Law Rules 2004 (Cth) (Family Law Rules), made under the Family Law Act 1975 (Cth) (Family Law Act) stipulates appropriate fees for lawyers to charge clients in family law matters. The Family Law Rules recommends that any time reasonably spent by a lawyer on work which requires the reasonable expertise of a lawyer should be charged at $212.85 per hour. For time reasonably spent on relevant work of either a lawyer or a law clerk, charges are suggested at $138 per hour, while chamber work for Junior Counsel is recommended between $244.40 and $348.55 per hour, and for Senior Counsel, between $409.35 and $701.75 per hour. In addition, recommendations are made for specific tasks commonly required of lawyer’s in family law proceedings. ..the reasonable expertise of a lawyer should be charged at $212.85 per hour. …while chamber work for Junior Counsel is recommended between $244.40 and $348.55 per hour, and for Senior Counsel, between $409.35 and $701.75 per hour. In addition, family law matters will generally always involve work by Counsel, that is, work by barristers in addition to that of solicitors. 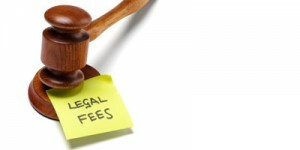 Counsel fees will vary depending on the experience of the barrister and the amount of time required of them in court. Clients involved in child custody disputes may also face an additional cost of an independent child lawyer, a lawyer appointed by the court to assess and represent the best interests of the child or children involved. Disbursements, another major cost incurred by clients, are the costs of work associated with a matter not included in the hourly rate of lawyers. Disbursements can be the cost of anything from an assets or property search, to a process service fee for serving documents on a respondent party, to postage or printing costs for briefs and lengthy affidavits. Under court orders, a client might also be liable to pay the legal fees of the respondent party in whole or part, these costs known as party to party costs. Whilst there are a number of circumstances in which the court may order party to party costs, the financial standing of parties is a significant factor. Where mediation and court hearings are involved, further costs are payable by the client; costs of a mediator, of professional witnesses, court hearing and mediation fees, and the additional costs payable to lawyers for preparation work. What do these costs really look like? Whilst costs will vary dependent on the nature of the matter, a look at estimates and statistics concerning the costs associated with divorce reveal the following. – The above solicitors’ fees for further direction, conferences, documents, preparation and other relevant work. – Costs of expert witnesses. Such costs are highly dependent on the profession of the witness and nature of evidence they are giving, but such costs can be similar to the hourly rate of solicitors. – Court hearing fees = $765 9 for each hearing day in defended matters, and a $560 10 additional daily fee for any and each extra hearing day. Whilst the financial costs for an individual client are subject to variation, dependent on the nature and extent of their legal matter, family law litigation can often be lengthy. It is not hard for one to fathom that the above costs drawn out over substantial time periods translates into a heavy financial burden for clients. How do I dispute my costly bill? Moreover, The Family Law Act sets out costs allocation rules for family law issues. The Act is administered by the Family Court of Australia and the Federal Circuit Court of Australia in all Australian states, excluding Western Australia, and in the Australian Capital Territory. The Family Law Act’s cost allocation rules are administered in the Northern Territory by the Supreme Court. A similar statute, the Family Court Act 1997 (WA), is the relevant legislative instrument for costs allocation rules in Western Australia, administered by the Family Court of Western Australia. The Family Law Act previously allowed for clients to challenge solicitor-client costs, that is, the costs charged by the solicitor to the client. But following legislative amendments, solicitor-client costs are only disputable under the Family Law Act if commenced prior to July 2008. The Family Law Act as it currently exists makes only party-party costs disputable, 12 that is, the cost that an individual is required to pay for the other party’s lawyers in the circumstance that the Court has ordered that party-party costs are payable. In such cases, Court orders may be made in relation to costs where upon a client serving their lawyer with a Notice Disputing Itemised Costs Account, the cost dispute cannot be resolved. However the more common legal costs in family law proceedings, solicitor-client costs, are dealt with by relevant State and Territory legislation and bodies. Legislation regulating the legal profession, namely the Legal Profession 13 or Legal Practitioners 14 Act’s of all States and Territories, set out statutory rules relating to informing clients about costs, the recovery of costs, and the avenues available to dispute costs. Whilst State and Territory legislation slightly differs in wording, dispute avenues stipulated, and both inside and outside legislation, in the relevant Courts and bodies to hear cost disputes, the cost dispute procedures are quite uniform across Australia. Such uniformity holds open the avenues of mediation 15, obtaining a costs assessment 16, costs review 17or having costs ‘taxed’ 18, setting aside a costs agreement 19, and making a complaint 20 about your lawyer to the relevant professional body. Before resorting to these measures which can often involve more time, and in cases where an application is rejected, more money, State Law Societies and Legal Services Commissions recommend that the first step that clients should take in disputing costs is talking to their lawyer. Discussing concerns regarding costs with their lawyer can help clear up confusion on the clients’ part and in some instances, may influence the reassessment of costs by the lawyer. The next step which should be taken, either preceding or following discussion of cost concerns with the acting lawyer, is requesting an itemised bill. Some lawyers may issue itemised bills in the first instance but others will purely issue a lump sum bill. Lawyers are required to issue itemised bills to clients within 21 21 or 28 22 days – dependent on the jurisdiction – of a request being made. Itemised bills can help clients understand the breakdown of legal work and costs. If discussion with the acting lawyer and review of an itemised bill does not solve a client’s cost dispute then another appropriate avenue is costs mediation or costs dispute resolution, both of which can take place in formal and informal settings. Endorsed by a number of law societies, and in particular the Law Societies of Queensland 23, New South Wales 24 and the Northern Territory 25, this option allows clients and lawyers to discuss their dispute with an independent mediator. Acting as an intermediary and facilitator between client and lawyer, this person is generally a member of the relevant Law Society or Legal Services Commission. While the costs mediator cannot give legal advice during the mediation, nor make decisions about the reasonableness or fairness of costs, this option provides a controlled forum within which clients and lawyers can attempt to resolve cost disputes. It also a dispute avenue which is notably a quicker and cheaper alternative to costs assessment and setting aside cost agreement applications. If the client and lawyer are not able to resolve their cost dispute through discussion with one another or with a mediator then there are a number of formal avenues which the client can explore, the first of these being costs assessment. For the purposes of explanation,costs assessment, costs review, and the taxation of costs will generally be referred to as costs assessment. Costs assessment is the process by which an independent person is appointed by the relevant State or Territory Law Society or Court to review the whole or any part of legal costs and consider the clients objections to it. The relevant Court differs between States and Territories, and in most jurisdictions is contingent upon the amount of legal costs being disputed. However, in all jurisdictions, the Supreme Court has the authority to carry out a costs assessment. Applications for costs assessments must generally be made without unreasonable delay or within 12 months of a client either receiving a bill or a request for payment, or paying their legal costs. Such applications can be made regardless of whether or not costs have been paid but it is important for clients to note that lawyers are entitled to take legal action against clients after 30 days of issuing a bill and not receiving payment. Hence it is recommended that clients explore cost dispute avenues within these initial 30 days. In considering a costs assessment application the criteria that a costs assessor must consider include questioning whether or not it was reasonable to perform the specific work to which the legal costs relate 26, whether or not the work was completed in a reasonable manner 27, and the fairness and reasonableness of the amount of legal costs charged in relation to the work 28. After such consideration the costs assessor will determine the fair and appropriate amount of legal costs to be paid. Here, a number of other factors must be taken into account, being; compliance with the relevant State or Territory legal professional act 29, disclosures made by the law practice [30 .Legal Profession Act 2004 (WA) s 301 (2)(b); Legal Profession Act 2006 (NT) s 341 (2)(b); Legal Profession Act 2004 (NSW) s 363(2)(b); Legal Profession Act 2004 (VIC) s 3.4.44 (2)(b); Legal Profession Act 2006 (ACT) s 300 (2)(b); Legal Profession Act 2007 (TAS) s 327(2)(b); and Legal Profession Act 2007 (QLD) s 341(2)(b). ], any advertisements of costs 30 or expertise 31, the legal capability and responsibility displayed 32, any retainer 33, the nature of the legal matter 34, the quality of the work conducted 35, and the place 36, time 37, and any other relevant circumstances within which the legal services were provided 38. It is important to note that clients will incur a fee for costs assessment, such fee dependent on the Court and the result of the costs assessment. A further avenue for disputing costs in family law proceedings available to those clients who entered into a costs agreement with their lawyer at the commencement of proceedings, is applying to have the costs agreement set aside. Similar to the costs assessment process, applications can be made to a costs assessor to have the whole or part of the cost agreement set aside. 39 , the professional conduct of the legal practitioner 40, the extent to which the client was informed about the agreement 41, the conduct and circumstances of parties when the agreement was made 42 and during the course of the matter 43, and the form and manner in which the agreement addresses changed circumstances and costs 44. On assessment, certain provisions or the costs agreement in its entirety may be set aside. Further to applications for costs assessments and the setting aside of costs agreements, another formal manner in which to dispute legal costs is through making a complaint. Complaints can be made to State and Territory Law Society’s, Legal Services Commissions, Legal Practitioners Conduct Boards, and Legal Profession Complaints Committees, all of which are stipulated under relevant legal profession acts as the authorised authority for complaints. In extreme cases, where legal costs are disputed and complaints are made to professional boards in cases of gross overcharging, a legal practitioner may face disciplinary action. An important case, Council of the Queensland Law Society v Roche 45, established that excessive overcharging can result in a finding of professional misconduct against a legal practitioner. Council of the Queensland Law Society v Roche 46 held legal practitioner Mr Roche to be guilty of professional misconduct for failing to draw his clients attention to the provisions of a retainer, failing to provide his client with an estimate of the impact that a proposed increase in fees would have on the fees payable overall, and failing to advise his client to seek further advice before signing a new costs agreement 47. Whilst this can be considered an extreme case, the client’s bill in excess of $350,000 48, it is important to note that in such extreme circumstances, legal practitioners risk facing disciplinary action. As previously noted, the first, and often most effective way of disputing costs can be for a client to discuss their itemised bill with their lawyer. Only after doing so should clients resort to other dispute methods which can be considerably timely, and, dependent on their result, create further financial expense for the client. If clients in family law proceedings cannot resolve costs with their lawyer and wish to explore the formal avenues of cost dispute then it is recommended that they contact a recognised Community Law Centre, Law Society, or Legal Services Commission for further advice.